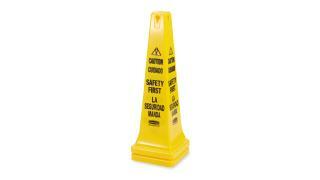 Highly visible, 36", bright yellow hazard protection cone. 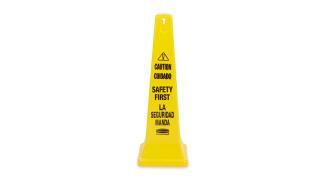 English/Spanish safety communication utilizes ANSI/OSHA-compliant color and graphics. 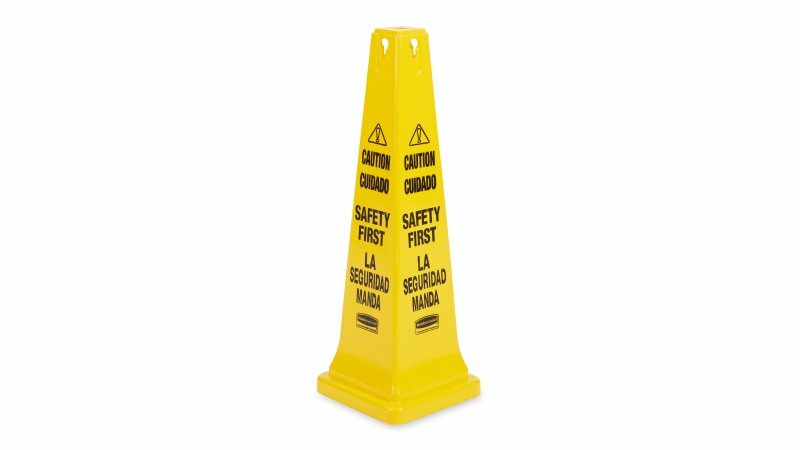 The Rubbermaid Commercial English/Spanish "Caution Wet Floor" Cone is a highly visible, 36", bright yellow hazard protection cone. Versatile top design accommodates various accessories and four-sided shape allows for efficient stacking. ANSI/OSHA-compliant color and graphics.